Thank you for your interest in Local Voices! Rio Tinto has engaged CSIRO to conduct an ongoing analysis of community attitudes to the company’s iron ore operations in the Pilbara. Community members, aged 18 years and older, based in Paraburdoo, Tom Price, Pannawonica, Dampier, Karratha, Wickham, Roebourne, Point Samson and surrounding districts, which neighbour Rio Tinto's operations, are invited to share their views on issues and opportunities related to the company's activities through a series of surveys. Assigning tokens to registered community group/s or club/s of your choice when you complete each survey - community groups can cash these token in for monetary donations. Your survey responses are confidential and anonymous. The personal information that we will collect will include contact details, certain demographic information (e.g. gender, occupation) and information relating to personal views. Mobile phone number and/or email addresses will be used only with secure online platforms responsible for sending out the surveys and project updates. Mobile phone numbers and/or email addresses will not be provided to any other organisation. All data collected will be combined and only the total results will be presented to Rio Tinto to indicate the opinions of community members as a collective. Participation in the survey series is entirely voluntary and while retracting data is not possible once results are published, you are free to withdraw your participation at any time, without prejudice, penalty or having to provide a reason for your withdrawal. Aside from giving up your time, there are no foreseeable risks associated with participating. What happens with the data from the surveys? to identify and understand drivers of trust and acceptance of Rio Tinto. in community engagement activities, and in various company communication materials and reports. to inform future decisions and activities of Rio Tinto, as well as industry and policy makers. to produce reports and scientific papers. in a broader program of research that aims to understand the relationships between mining and communities at different levels across time. The data may be licensed to a separate entity to enable continued data collection past the initial 3-year agreement between CSIRO and Rio Tinto. This will enable a long-term view of community attitudes and how they change over time. Your contact details will not be included in this data. 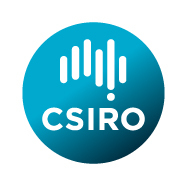 You will be contacted by CSIRO in these circumstances with an opportunity to either opt out or provide consent to continue participation in the study with the new entity. Please indicate your consent using the menu below and click 'Continue'.